Not sure what to create for Valentine’s Day? This adorable Valentine Hug Bear Clipart will help. He’s lovable, huggable and super adorable! And he’ll be the perfect addition to whatever project you have in mind, whether it’s scrapbooking, cardmaking, decorating, graphic design, or another DIY craft. Adorn your gift to that special someone in your life with a wonderful teddy tag or add it to a Valentine’s Day greeting for that special person in your life. Express your love, gratitude or friendship with a Teddy bear hug. No matter whom that special someone is,a teddy bear is the perfect way to show you care. 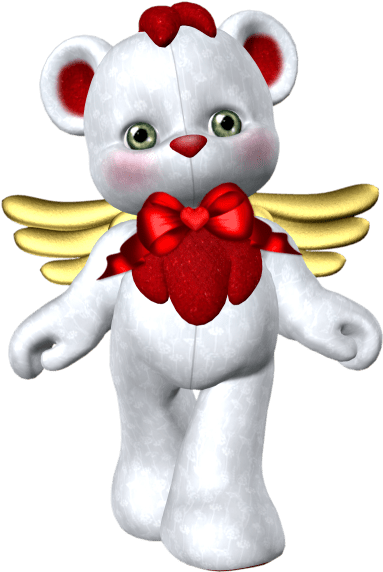 This teddy bear clipart comes on PNG file with a transparent background. Just drop it into your design. This entry was posted in Valentine's Day and tagged 3D, holiday clipart, holiday graphics, poser, royalty-free, stock image, Valentine Hug Bear Clipart on October 5, 2014 by Noel Bryan.